This outer space word scramble helps your child learn the names of the nine planets. It's a great astronomy start and boosts spelling! Ahoy there, matey! If you have a mischief-maker on your hands this pirate word search is just the ticket. How do you change verbs ending in Y to past tense? Spelling practise gets some help with this writing and word search worksheet! What a wonderful world word search! See if you can find all 10 of the Earth-related terms in the word search. Help your child learn his way around the classroom with this word search that focuses on school vocabulary. Learning vocab words is fun and easy when it's a game! This word search is a sneaky way to get in some spelling and vocabulary practise. There are things that start with O on this printable, can your child find them? It's great alphabet phonics practise, which will help with reading. Stuck inside on a rainy day? Prepare for sunny days ahead with this playground word search. Play with the alphabet by making cool block letters by counting and connecting the dots. Does your child love Mexican food? She can build her vocabulary and her appetite as she solves this word search all about Mexican cuisine. For verbs ending in E there's a simple spelling rule to remember: just add D to make the verb past tense. Is your second grader fully equipped for school? Have her hunt down pens, pencils and other school supplies in a colorful back to school themed word search! What's that bird that is extinct? Fill in this answer and use other clues to complete the worksheet. Learn about extinct animals as you go! Have your child complete the word search by finding the different types of transportation. 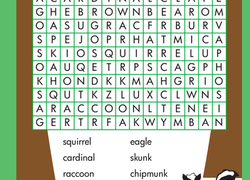 Learn the different sounds of the vowel blend "ea" with this fun word search puzzle! If your child loves cars but doesn't love long car rides, pass him this car-themed word search to help pass the time on your next road trip. On this prekindergarten reading and coloring worksheet, kids connect the dots by following the letters A to Z to reveal the mystery animal in the letters! Word Search: Time to Eat! 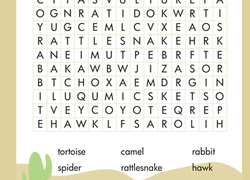 Learning to spell is a breeze with this word search, which turns boring ol' spelling practise into a game. Find the hidden words that relate to the beach in the word search. When it comes to learning numbers, six through ten can be tough. 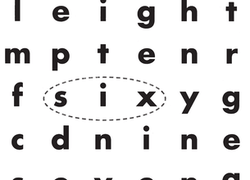 Boost your kid's number knowledge with a word search full of hidden number words. If you thought there couldn't be any more ways to teach ABC's you thought wrong.